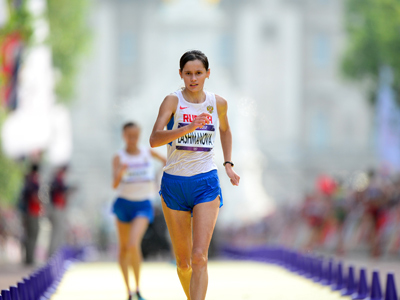 Russia’s Maria Savinova has beaten Caster Semenya of South Africa for the 800-meter title, while her compatriot Anna Chicherova was unmatched in the women’s high jump as the athletic program concluded at London’s Olympic stadium. 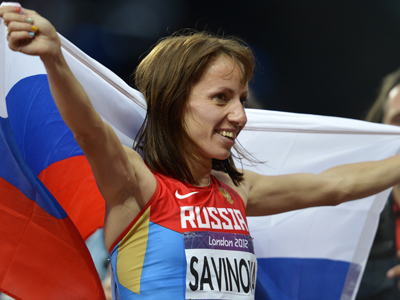 Savinova finished the race with the season's-best time at 1 minute, 56.19 seconds. Semenya was last with 250 meters to go, and her strong finishing kick only carried her to silver while Savinova raced away to an easy victory.Russia also took the bronze with Ekaterina Poistogova. Semenya made her Olympic debut three years after being forced to undergo gender tests. 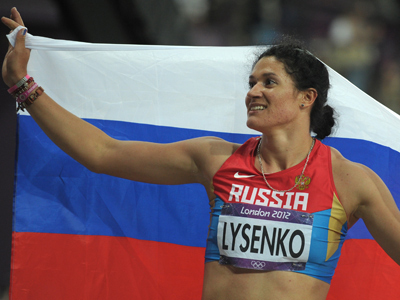 Two more Russians, Anna Chicherova and Svetlana Shkolina, prevailed in women’s high jump. Two meters and six centimeters was enough for the reigning world champion Chicherova to jump to gold. Brigetta Barrett of the United States fit into the two Russians having scored fewer misses than Shkolina, who also cleared 2.03 meters, but had to settle for the bronze. Elsewhere, Allyson Felix won her third gold medal of the London Olympics, and helped the United States win the country's fifth straight Olympic title in women’s 4x400-meter relay. 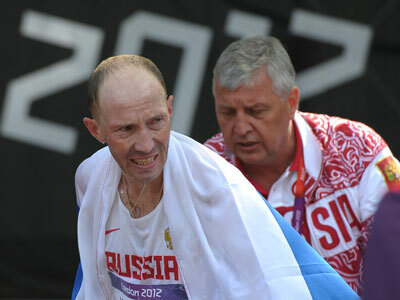 Russia finished second more than three seconds behind with Jamaica trailing another half a second. Usain Bolt, meanwhile, claimed another gold and another world record, anchoring the Jamaicans to victory in men’s 4x400-meter relay. USA and Trinidad & Tobago filled the podium.